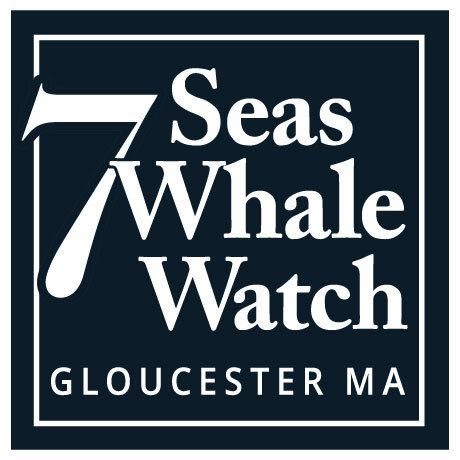 Gloucester is the best port in Massachusetts to whale watch from because we are located directly between two major whale feeding areas, Stellwagen bank and Jeffrey’s Ledge, giving us access to more productive whale territory than boats leaving from any other port. Also, because Gloucester is located on a peninsula that extends 11 miles out to sea we are closer to the whales, which translates into less travel time and more whale watching time. Why Whale Watching from Gloucester, MA? Gloucester, MA has become a world renown whale watching destination primarily because of its location. Gloucester in situated on the southern shore of a rocky cape called “Cape Ann” that juts 11 miles out into the North Atlantic Ocean. 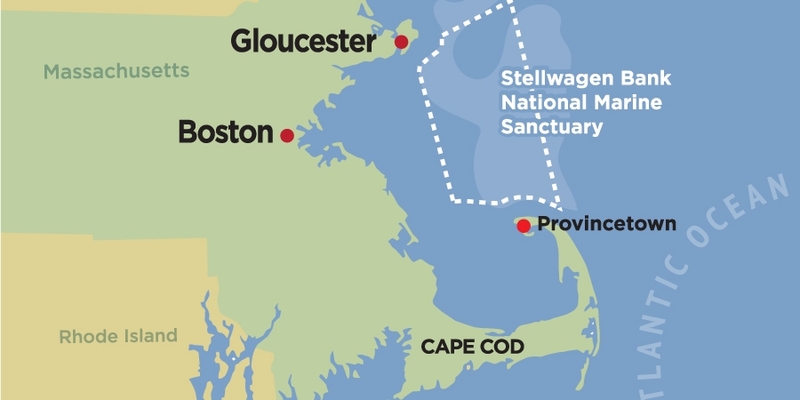 Cape Ann just so happens to be located directly between two major whale feeding areas: Stellwagen Bank and Jeffrey’s Ledge (just 12 and 8 miles from Gloucester). This means that whale watching boats departing from Gloucester/Cape Ann have the ability to travel to either location depending upon the most recent whale sightings and reports. WHY ARE STELLWAGEN BANK AND JEFFREY’S LEDGE SO SPECIAL? The reason whales often gather in large numbers to feed in these two areas has to do with the “upwelling” (vertical mixing of the water column) created when the strong currents that flow through the region collide with the steep sides of places like Stellwagen Bank or Jeffrey’s Ledge. This upwelling brings nutrients to the surface where they mix with sunlight and create tremendous blooms of “plankton” (tiny, microscopic plants and animals). This plankton then kick-starts a food-chain that brings in numerous species of wildlife, including many species of whales. The extremely high productivity of the region and the region’s importance as a feeding area for endangered whales led to the creation of “Stellwagen Bank Nation Marine Sanctuary” in November of 1992. The total area of the sanctuary is 842 square miles and encompasses all of Stellwagen Bank and the southern portion of Jeffrey’s ledge. As a National Marine Sanctuary, the are is protected from certain activities considered harmful to the marine environment. Hopefully, this means that whales, birds, fish, and other animals will continue to find the area clean and productive for into the future.